Vision without glasses for hyperopic, presbyopic patients! This is a procedure that was commonly done at some stage, but nowadays there are better options to achieve the same result. The search for a cure for presbyopia has been as much sought after as Ponce de Leon’s fountain of youth. If you are farsighted or cannot see up close, and are now beginning to notice your distance vision isn’t quite as good as it once was, PRELEX offers people who are farsighted the ability to have clearer vision at near, far and intermediate distances. Your cornea (the outside part of the eye) and the eye’s natural lens (inside your eye) work together to focus light that comes into your eye. The lens, which is flexible when you are younger, becomes increasingly inflexible as you mature, often after you’ve passed the age of forty. It’s a little harder to clearly see the face of your wristwatch, make out those road signs on the highway before you pass your exit, or even read the fine print on your TV, without glasses. Consequently, you have a difficult time focusing on objects, no matter what distance they are from your eyes. This condition is known as presbyopia. 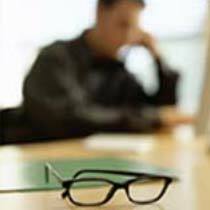 The onset of presbyopia has traditionally meant that you are relegated to using glasses for clear vision. What’s more, even those individuals who’ve received laser vision correction will eventually become presbyopic and need glasses or contacts to restore their full range of sight. PRELEX can improve clarity and provide a sharper focus to your vision at all distances – up close, far away and in between. This works best in hyperopic presbyopes, meaning those individuals who are farsighted and have lost the optimal focusing ability of their eye’s natural lens. Presbyopes typically wear glasses for close-up work or reading. In recent years, laser vision correction has made it possible for millions of individuals who are nearsighted and farsighted to eliminate, or greatly reduce, their need for glasses and contacts. Although laser vision correction can treat these conditions, it cannot correct presbyopia and restore the eye’s full range of vision. The PRELEX procedure involves replacing your eye’s natural lens with a multi-focal intraocular lens. Lens implants of the past utilized mono focal lenses that only improved your vision either near or far, but could not improve for both distances. Mono focal lenses left you still relying on glasses for whichever distances did not get corrected. 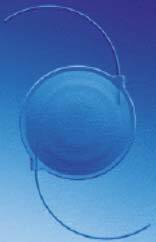 PRELEX utilizes a multifocal lens. Multifocal lenses are made of silicone and have 5 concentric circles or zones of vision. The center zone improves distance vision. As the pupil widens, more zones come into focus and allow clear sight at various distances. Most people notice an immediate improvement in their vision after PRELEX. In addition, their near, intermediate and distance vision continues to improve for three to six months after their procedure.